The Panasonic AG-UX180 4K Premium Professional Camcorder records DCI 4K (cinema 4K) at 24p, UHD 4K at up to 60p, and FHD up to 120p (when set to 59.94Hz standard). The camera is switchable between the 59.94 and 50Hz frame format, which is analogous to NTSC and PAL. 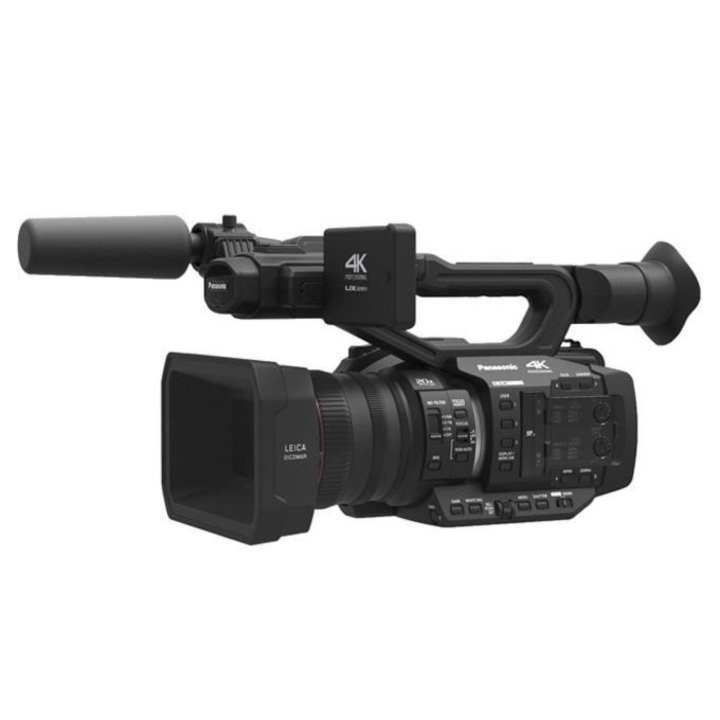 This allows the camcorder to integrate seamlessly with a wide range of current broadcast video systems in place around the world. Featuring an integrated 20x optical zoom lens and a 1"" type sensor, the camera records in DCI 4K, UHD, and HD in MOV, MP4.